Disney has been knocking it out of the park lately with their live action films! The newest one coming out is Dumbo! Tim Burton is using his movie magic to recreate the circus world of everyone’s favorite elephant. 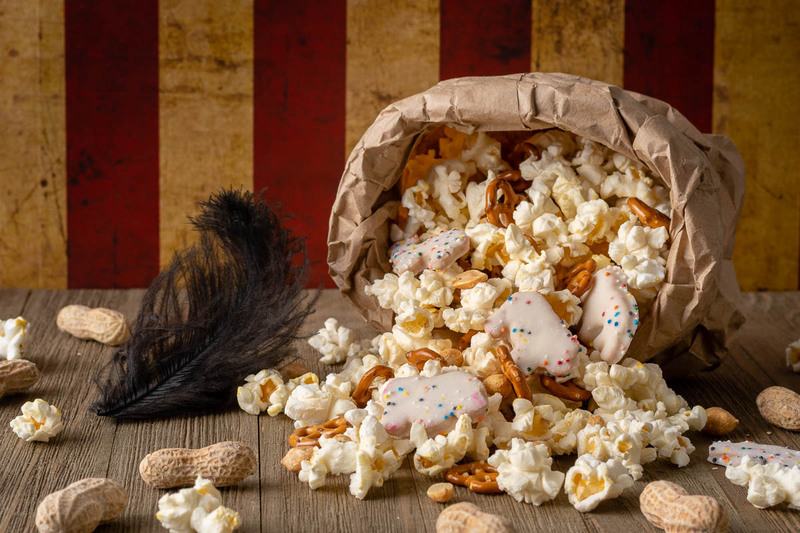 To get ready for the film’s release, we have created a brand new recipe for Circus Snack Mix and are giving away screening passes! 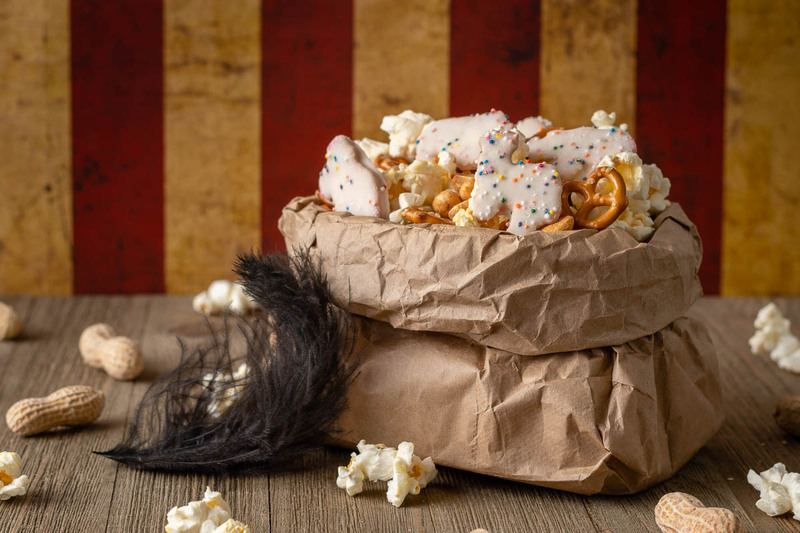 The inspiration for our Circus Snack Mix came from the circus setting of Dumbo. We wanted to a mcreate ovie night snack that featured lots of the treats you might find at the circus. Not to mention, we couldn’t create a recipe without peanuts, could we? For a little whimsy we had frosted animal crackers because sprinkles make everything taste better, don’t they? Now that you have your show stopping snack, now is your opportunity to see the movie that inspired it! We are giving away 5 Family 4-Packs of VIP Advanced Screening Passes to an advanced showing of Dumbo! The showing will be held at Harkins Tempe Marketplace on Tuesday, March 26th. The screening starts at 7 pm and the winners should arrive at 6:15 in order to guarantee their seating. Winners will be selected on Friday, March 22nd. Good luck! Want to throw a Circus Themed Party inspired by Dumbo? 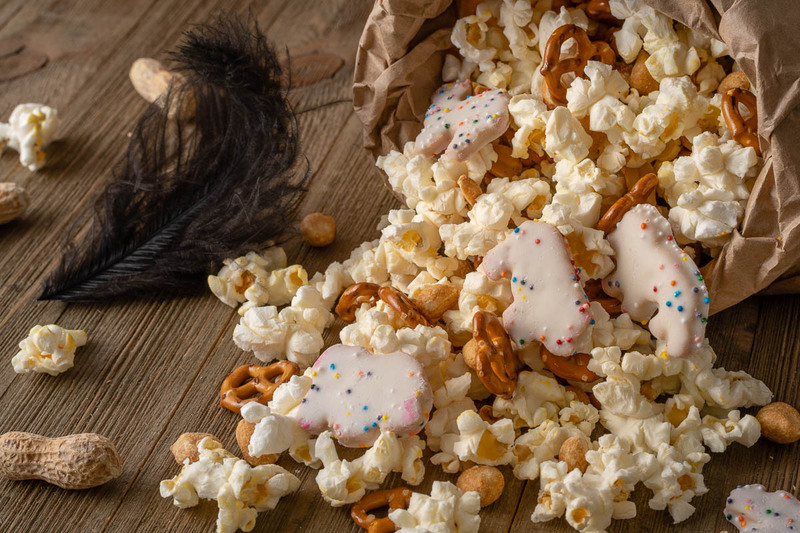 The Geeks have you covered with their whimsical Circus Snack Mix!